If you’ve been around Energizer Church even a little bit this summer, you will have heard a new phrase being thrown around: “Pop-Up Church”. Pop-up bars, cafés, theatres, markets and shops have been around for a little while now, but this is the first time we’ve seen the church testing the waters of pop-up spaces. It’s exciting; we know, because we recently caught up with the service pastor for Energizer Church’s pop-up project to find out exactly what the deal is! Why PopUp Church? How is it different to regular church? January is one of my favourite months in Hobart; people are out and about and there are so many wonderful events to go to and so much good food and music. Hobart’s vibrant culture is alive and kicking and we see the Church as a core part of our culture here in Hobart, so we want to get amongst that! January is the month people often want to go out and about and see and try new things; we want to encourage people to step out and come to church with a difference… A PopUp church service! It will be different for many reasons; we are collaborating with some of Tassie’s best musicians, artists and food vans to help make the nights a blast for anyone who wants to come and connect at one of the three Saturday nights of our Pop Up church. 2. Who is PopUp Church for? It’s for everyone! But especially, those people who are not afraid to try something different and break some new ground. It’s for people who really have a heart for this incredible city of ours. Pop-Up Church is all about in a setting that is welcoming, vibrant and relevant for all. 3. What are you most excited about with Pop Up Church? This might sound interesting… But I’m most excited about just being there! Standing amongst all those great people, listening to local musicians, soaking in the surroundings, enjoying people’s company and fine food; just soaking it all in. 4. What does Pop Up Church mean for Hobart? It’s an opportunity: an opportunity to attend an event where people can come and see what the church of Hobart is all about and to make it their own. Our team really hopes Hobart will take this opportunity over the month of January to come out and see what it’s all about. 5. What can people expect to see at Pop Up Church? People can expect to see an exciting event which will breathe life into the relevance, impact, hope and joy being a Christian and part of the church can be. Expect to see something that will lead you into 2016 with a new spring in your step; each night will be dynamic and will feature some top class communicators. If you don’t want your thinking challenged, this event is not for you! January 16th, 23rd and 30th at Macquarie wharf. 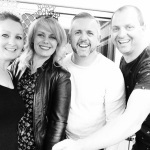 Head down at around 6pm to make the most of the food and music! Keep your eyes out for posters popping up around our city and for new information to be released on social media; check out Energizer Church on Facebook and Instagram! And keep your ears open, because people will be talking about this! At probably the highest point of his time as King of Israel, God appeared and spoke to King Solomon. He had just completed the construction and dedicated the Temple. I’m sure he was feeling pretty good! The first thing that God said to Solomon was that there will be times and seasons; times of drought, times of plenty, times of loss and times of prosperity. That is how life is: there are seasons. Seasons of work, seasons of celebration, seasons where no rain falls and seasons where we experience plenty. What should our response be in and through the different seasons? How should we respond together as followers of Jesus? How do we respond as families and as a church? Then if my people who are called by my name will humble themselves and pray and seek my face and turn from their wicked ways, I will hear from heaven and will forgive their sins and restore their land. My eyes will be open and my ears attentive to every prayer made in this place. As Kingdom people we know we are called and called by the Name of Jesus. We’re asked to do three things. Humility is seeing God and His purposes as bigger and above our priorities. Praying means speaking to God; the context here is to “Intercede” and stand in the gap for others. Seeking “His face” is all about where our attention is focused. I know God wants to do some exciting things among us and through us as a church. I know we’re going to see some seasons of amazing breakthrough. Keeping our focus on Jesus means we walk, live and speak out of a faith environment and create a faith culture. In a faith culture things happen. 3. Keep our attention on Jesus. As we’ve watched and contemplated recent world events, it brings home again a clash of culture and values. It made me think about what it is that defines the Kingdom of God. Something that is so powerful and has the potential to bring about more change than anything else we can possibly be part of. In many ways, the Kingdom is something that can feel a little intangible. Especially when you describe it to an unbeliever. One of the most tangible aspects of the Kingdom is the culture of the Kingdom. Jesus was a cultural engineer. It’s not in what we wear, eat, or the style of music we listen to, but the way we think, the way speak and the way we engage with people. Culture is the most powerful aspect of belonging. When people belong to our church they belong to a culture. It is that culture that helps people connect. As leaders at Energizer we carry and guard a culture that allows people to come and belong. As we heat up, carry and guard our culture more and more porous will connect and belong and the Kingdom will continue to expand across our city and beyond. It’s not just the words we say, but it’s what we carry, what we tolerate and what we don’t. Looking forward to meeting this Sunday in Hobart and the Derwent Valley. Let’s continue to carry and guard a powerful culture! Great thoughts from one of our amazing Nourish leaders! “Two people are better off than one, for they can help each other succeed. If one person falls, the other can reach out and help. But someone who falls alone is in real trouble” (Ecclesiastes 4:9-10 NLT). This verse not only challenged me, but excited me and made me think on a whole new level about the friendships I have in my life. We tend to use the word “friend” quite carelessly. Any person we have a few conversations with, work with, or “like” on Facebook we call “friend.” This is not necessarily bad, but through it, are we losing the real meaning of biblical friendship? Could this be because real, deep, relational friendships come at a cost? Let’s take a moment to count the cost of friendship. Always amazing to hear from our favourite office manager, a woman of many talents! Thanks Fi! Three years ago was my last trip to Colour Conference. I heard very clearly from God on that trip and I came home with a word on my heart. Resolve. Two meanings to the word ‘resolve’ are “to decide firmly on a course of action” and “firm determination to do something”. For me, I took it away and wanted so badly to apply that to my following of Jesus. And I did. I drew a line in the sand and resolved to follow Jesus passionately, well and with determination. I could do that. However, after a while, my line started to fade and the word resolve started to hold less and less meaning as it did when it was fresh. Home is where the conviction is. Most of us would have a memory of wanting to run away from home as a child, in varying degrees of seriousness! However, in recent times, I have been experiencing this desire for real, as a grown up. I’m sure I’m not alone! I was ready to pack up my family and my dog (and my cat, at a stretch) and take off to find some sunshine. You see, this year has been crazy (and yes, I’m well aware that we are only halfway through). 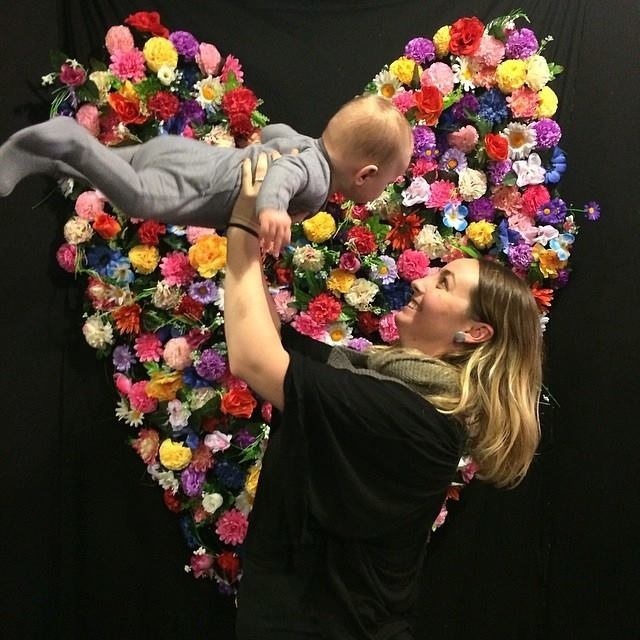 My husband and I have stepped deeper into ministry than ever before and I’ve gone back to work full time for the first time since becoming a mum. To say I’ve felt overwhelmed at times, would be an extreme understatement! Alix and I and some of our team have had a brilliant week in Sydney at Hillsong. The theme this year was “Speak We’re Listening”, which was a great theme woven throughout the week; the importance of not just knowing God but recognising and tuning in to His voice. Last night the message was powerful but incredibly personal to nearly all of the 30,000 people in the arena. Jenzen Franklin talked about Jacob wrestling with God. We’re probably familiar with the thought that Jacob was not prepared to let go of God until He was blessed. But why did he need to wrestle all night? It wasn’t like God was struggling to over power him. The wrestle was all about Jacob – not God! God doesn’t change, nor does He need to prove Himself. What God did need to do was get all of Jacob out of Jacob, so much so that He gave him a brand new name, which meant, “He who prevails or presses into God”. The struggle was to come to grips with who he really was and get to a point where he had “Power with God and favour with Man”. Maybe we need to be more intentional or even aggressive as we press into God for the things that we’re believing for. As we do, He can bless us because we are empty of ourselves and can receive. We have a new name; the one that God has given us, not the one from our past, our disappointments, our hurts or people’s perceptions. This Sunday let’s press into God like never before, walk in His favour and expect great things! 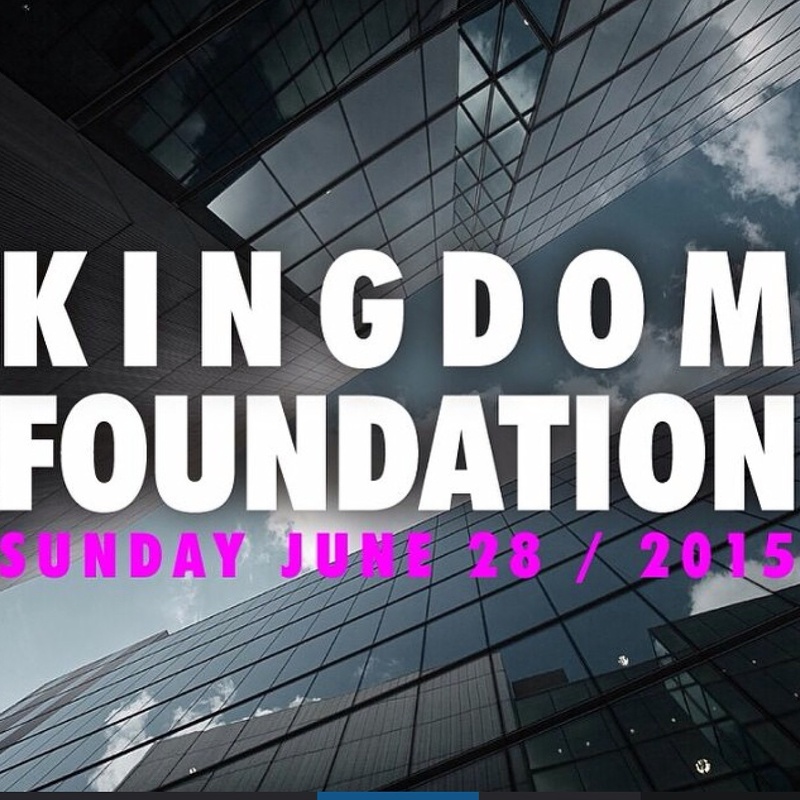 This Sunday is Kingdom Foundation Sunday! It is an exciting day in our year! We’ve have enjoyed a brilliant first half of 2015 as we‘ve been focusing on doing things different this year. But, the year is not finished, there is still so much to look forward to, so much to get excited for and so much to believe for. We are part of such a generous church. Every week people give sacrificially toward our weekly tithes and offerings and once a year we commit with generosity to our Miracle Offering & Heart For The House Offering. This year we have combined the two into one offering called Kingdom Foundation. Our Kingdom Foundation is all about; Building the Church and Blessing the Community. THIS IS OUR TIME – we are here to make an eternal difference and contribute to something significant. At Energizer we are building a Kingdom Foundation – a foundation that will remain. Kingdom foundations stand in hostile environments; they stand the test of time and support and carry future generations into their God given purpose. Together we can build something that is not only significant, but that will make an eternal difference. As we approach this Sunday please pray about how you can be part of making an eternal difference and building a Kingdom Foundation. We are better together. Our vision won’t be realised by one or two individuals, but it’s a vision that will require everyone to play their part. You can be part of the solution – Regardless of our background and experience, God wants to use us as builders. We’re building lives, we’re building families, we’re building hope, we’re building faith, we’re building the spiritual climate of our City and we’re building generations. 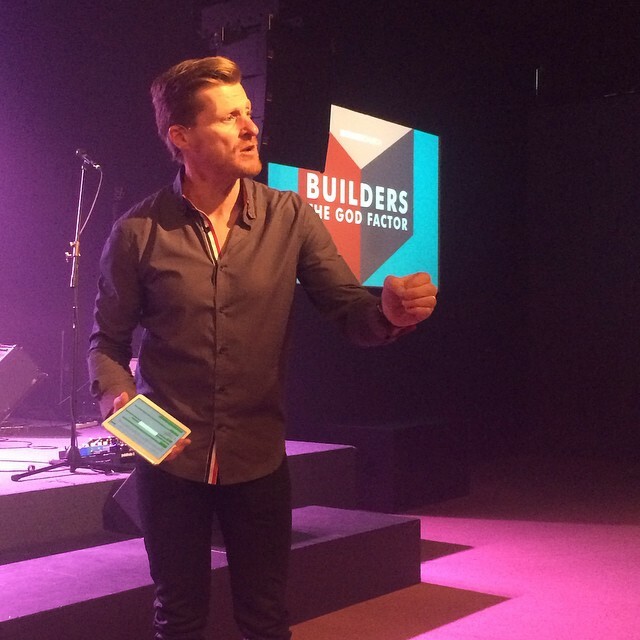 We are builders: whether that’s building the church here in Hobart and across our local region or planting churches in Nepal, we choose to partner with Jesus who said ‘I will build my Church’. We are here to make a difference – we’ve been blessed to bless others. What’s your part in this year’s solution? 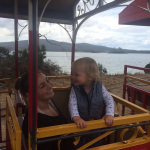 Life as a high school teacher (and a mum, and a wife, and a leader, and a friend, and a plain old human being!) is a crazy juggle. I’ve written about this before, but lately it’s been on my mind more that usual. Lately, I’ve been feeling like my brain and my diary are so full of curriculum documents, marking folders, parent phone calls, classroom displays and staff meetings, that my faith can’t possibly be making any impact in my workplace. How could it? I barely have time to talk to God during a work day, let alone talk to anyone about him! It is not unreasonable for me to think like that, amidst my busy teaching day, but I’ve been pleasantly surprised (again) by God. It turns out, and hold onto your hats; this is revolutionary, that God’s ability to move is not hampered in anyway by my limitations. Just because I can’t see what he is up to, doesn’t mean he is inactive. Most of the time, I don’t see God moving in my work life. It’s like a really overcast day in a way; I can’t see the sunshine, I can’t feel the warmth, but I know that it is still sustaining life. That’s walking by faith, trusting in a God whose hand you can’t always see working. And every so often, those clouds part and for a glorious moment, I get the see those rays of sunlight beam down and do their thing. This week, I got one of those glorious moments. I have one particularly student in my grade eight class whose journey up to this point has not been an easy one for a number of reasons, not least the death of his mum last year. Needless to say, there are days when this young man finds every day school stuff difficult to cope with and by extension, I find his behaviour difficult to cope with. The only thing I know how to do in these situations is pray. I’ve driven to and from work with this broken up, angry, emotional kid on my mind, pouring out my frustrations and hopes for him to God, asking him to help me. Prayer changes things. Gradually, on those days when I haven’t been able to see anything happening, a trust has been developing. Opportunities that I never could’ve anticipated have arisen. I even got brave and, at the prompting of the Holy Spirit, had a very frank conversation with this student about our lovely new school psychologist and how she might be able to help him get to the bottom of some of the things that stop him being the kid he wants to be. Needless, to say, we fought about it, but I am the grown-up so I won. Reluctantly, he trudged off to his first appointment, shooting me the world’s dirtiest looks. I watched him go, asking God whether this might be the end of the relationship I had so carefully nurtured, unable to see the sunshine peeking through the clouds. At the beginning of recess, the same young man was back in my classroom, waiting for me to pack up. On my way out, without looking me in the eye, he held out a chocolate bar he had bought me at the canteen on his way back down from the psych’s office. “I just wanted to say thank you”. It’s not about the chocolate; it’s not even about the thank you. The sunshine that came pouring through the clouds that morning was one young person who realised that I was not going to give up just because it was hard and that maybe he was even worth the fight. God is moving all the time, even in the mundane, even when we can’t see the sun for the clouds.